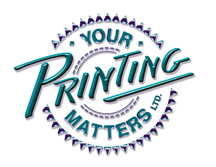 We at Your Printing Matters have prepared the following guide to assist you with your artwork preparation. If you have a specific problem that is not covered in this guide, or have other questions, please feel free to contact us. Artwork that is not prepared properly can lead to issues in production.